Make a deliciously moist instant pot cake with just a handful of ingredients in under an hour! This is one of those instant pot desserts you will make again and again. 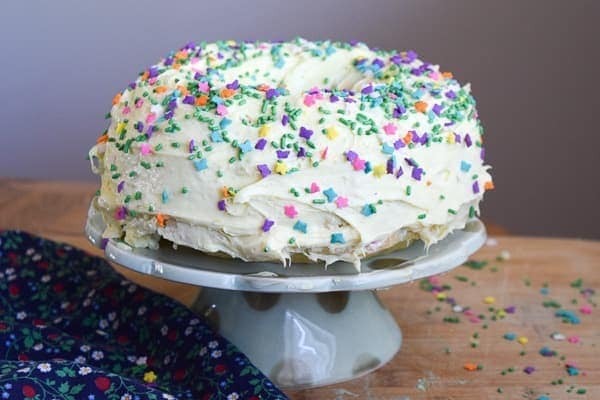 This is a super simple method for making cake in instant pot using a boxed cake mix. 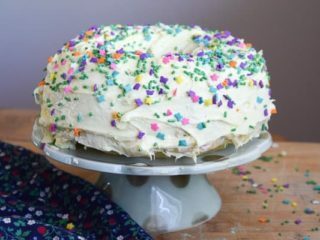 If you have a favorite from scratch white cake recipe, you can still use this method to make a cake in your instant pot. 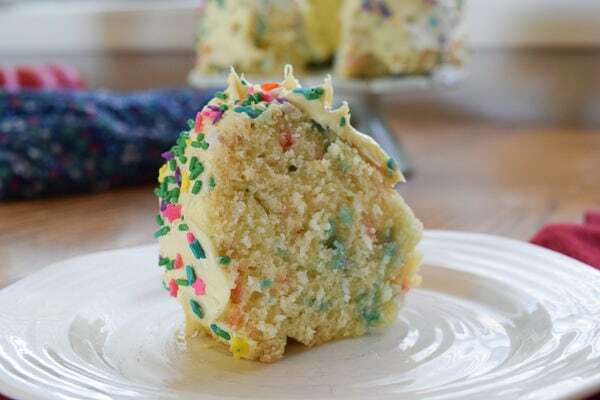 This instant pot dessert calls for a box of Funfetti cake mix (you should not pay that price for a box of cake mix, I’m just linking so you have a visual). It’s a super simple way to change up your cake baking routine. With the help of a bunt pan and the moisture from your instant pot, you will have a perfectly dense and moist cake. Also, if you haven’t tried it, you may want to check out this recipe for instant pot cinnamon rolls and this recipe for instant pot oreo cheesecake. Yum. Why make a boxed cake in the instant pot? You may be wondering why you wouldn’t just bake your cake in the oven. the reason? Instant pot cake mix cakes come out so much different. It is like a completely different cake. You need to try this at least once in your life! How to make cake in the instant pot? Making a cake mix in your instant pot is not much different than baking it in your oven. You will mix up the ingredients according to the package directions. Grease and flour a bundt pan and pour in the cake batter. Add a cup of water and place your bundt pan on top of a trivet inside the instant pot. Cook on high pressure for 35 minutes and quick pressure release. Let it cool and then frost as you would a normal cake. But this is not a normal cake. This is an instant pot cake. It is such a treat! What pan to use when making instant pot cake? 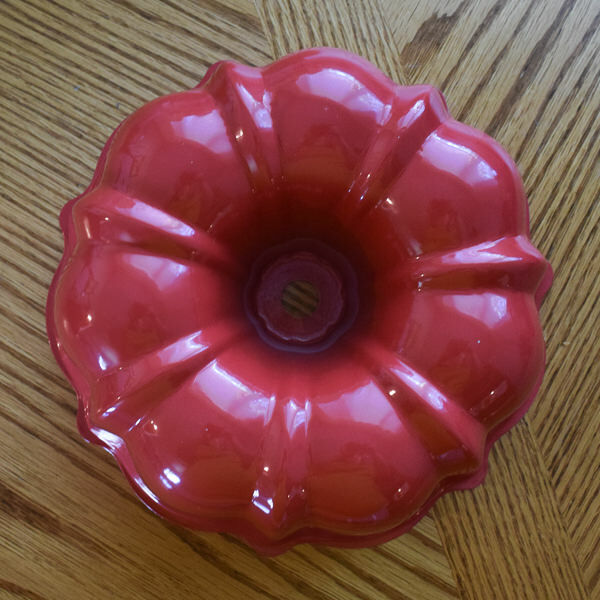 I use this 6-inch bundt pan by Nordic Ware. It has held up so far in my Instant Pot and is relatively easy to clean. In a large bowl, mix together the funfetti cake mix, eggs, water, and oil. Grease and flour a 7 inch bundt pan. 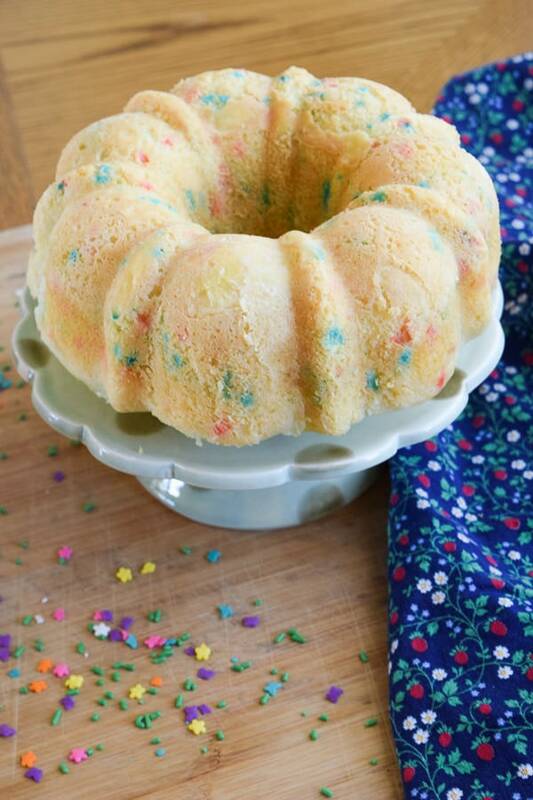 Pour cake batter into bundt pan. Add 1 cup water to the inner bowl of instant pot. Place trivet inside. Make a foil sling and carefully lower filled bundt pan on top of trivet in the instant pot. Loosely fold foil sling over the top of the bundt pan. Let cool on a cooling rack for 30-60 minutes. Use a knife to gently separate the cake from the sides of the bundt pan and empty the cake onto a plate. 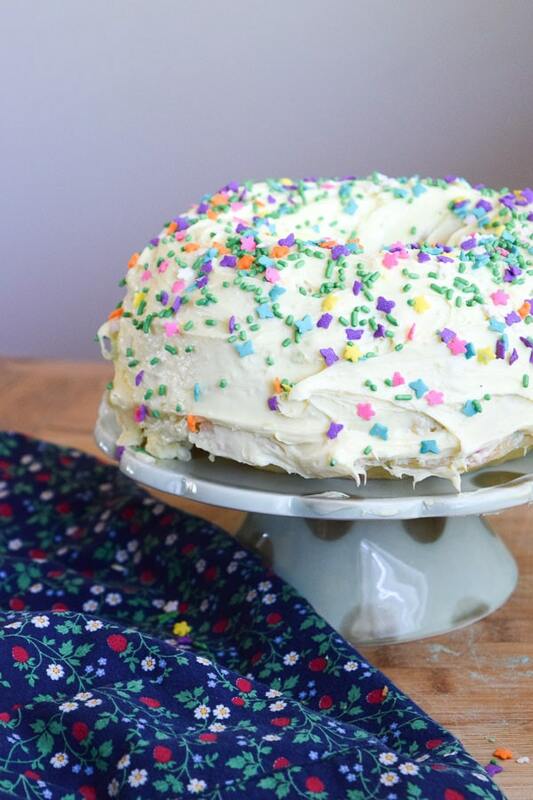 Did you try this recipe for instant pot cake? Let us know what you thought below with a rating and comment. 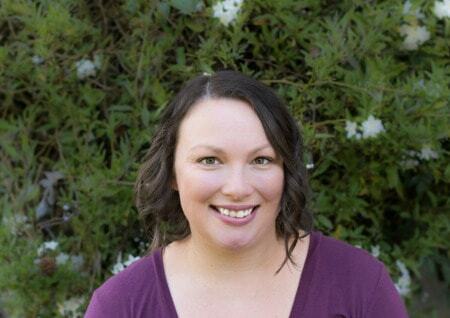 You can also tag us on social media using @aileencooks. Hi Theresa. You should be able to use a push pan or spring form pan (although I have not personally tested that method). Unfortunately, it will not work to pour the batter into the main pot. Can I use the cake button on my ip? Hi Laura! My instant pot doesn’t have a cake version, so I don’t have personal experience. From my understanding, it should work. Enjoy! I followed the instructions and my cake turned out very dense and inedible. Why ?? Hi Roselle. Cake in the instant pot is more dense. Cutting back on the cook time by a couple of minutes may help next time.